The Glebe is a popular recreational area, located in the Lake District National Park, South West of Bowness-on-Windermere town centre. Although a popular tourist attraction, research conducted by the Lake District National Park Authority (LNDPA) found that areas of The Glebe has significantly deteriorated. The area was identified as a strategic regeneration location in need of investment to transform it into a world class visitor destination. The focus of the Windermere Waterfront Programme is to maintain tourist numbers in Bowness Bay and The Glebe and ensure its continued economic contribution to the area. A dominant feature of the area, which detracts from an overall visitor experience is moving and parked cars. The improvement scheme will help to make the area more user friendly for cyclists and pedestrians. To help with this initiative, Alpha Rail was contracted by the Casey Group to manufacture and install bespoke metal railings and gates. In total, 243 metres of 1200mm high bow top metal railings and 143m of varying height vertical bar railings were installed to a number of locations within The Glebe in an effort to help pedestrianise the area. In addition to this, Alpha Rail also installed six 1200mm high bow top gates, four of which were single leaf, with the remaining two manufactured in a double leaf style. 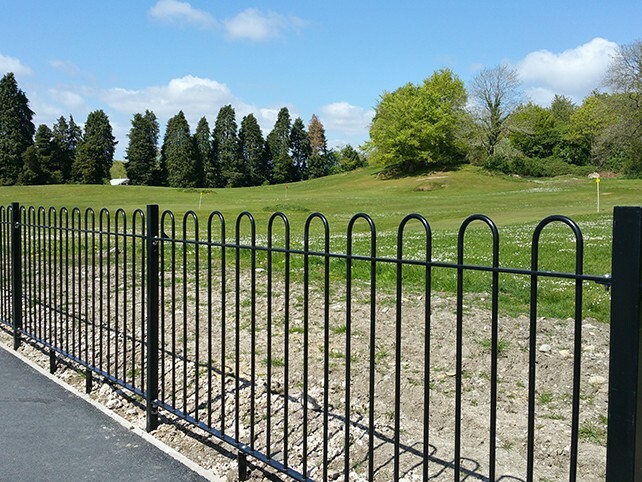 All metalwork manufactured by Alpha Rail for The Glebe regeneration project was supplied galvanised and polyester powder coated Jet Black RAL 9005. 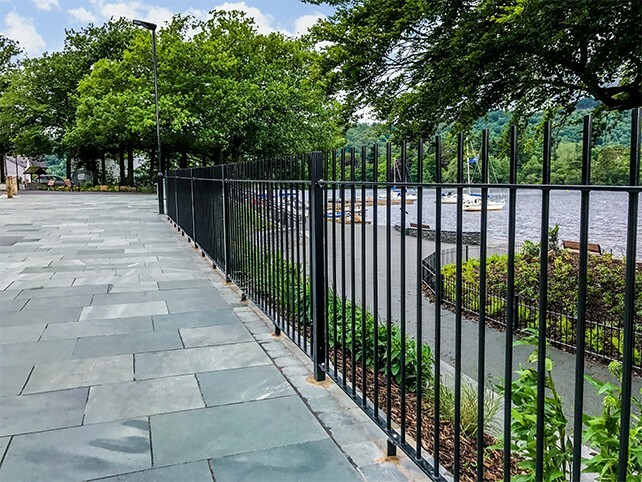 "A key focal point of this project was to install metal railings and gates that were fit for purpose and not detract from the natural beauty of this popular Lake District tourist attraction. Alpha Rail delivered on this brief, and I am very happy with the service they provided."